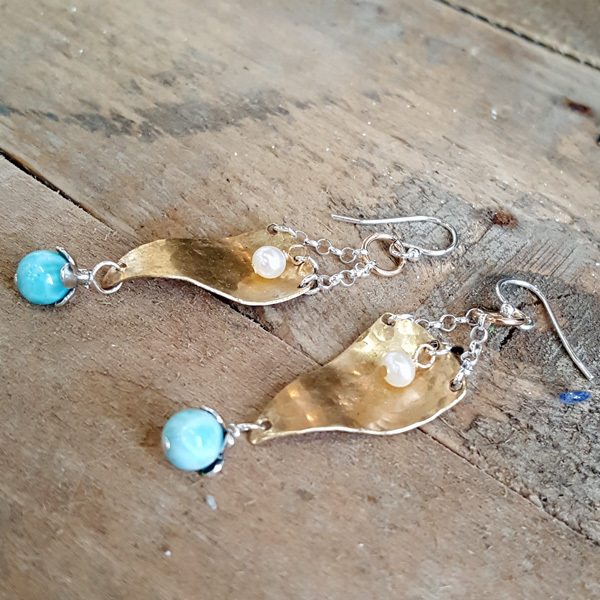 Measuring approximately 2 inches in length, these earrings bring to mind soft, summer nights by the sea. 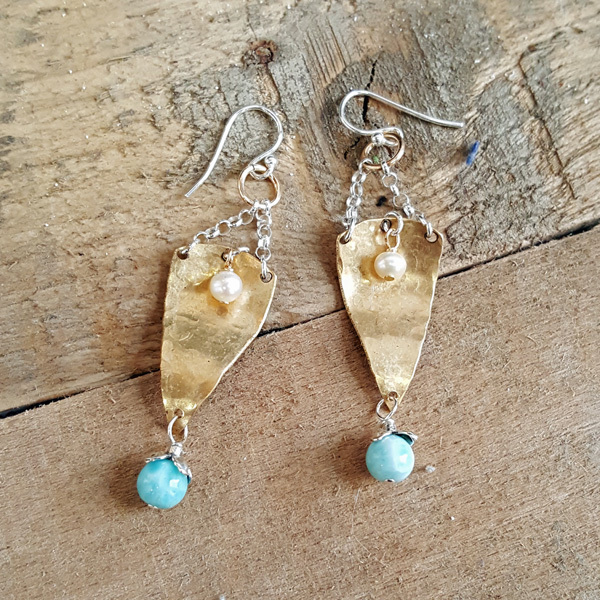 Made with a rare form of Pectolite as blue as the ocean, you will feel like a rare gem while wearing these stunning earrings. 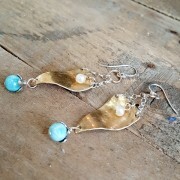 Brass and sterling.